Biodiversity Gallery: Here you will see displays showcasing the flora and fauna of South Western Australia, you can even take a closer look at it under some microscopes! Discovery Gallery: This features hands on science experiments for you to interact with and learn more about many different scientific principles, including Newtonian and Einsteinian gravity, electromagnetism and Bernoulli's principles. Cosmology Gallery: This gallery showcases the entire history of the universe, starting from the Big Bang and ending with modern science's predictions for the future. There is also a display of Aboriginal Australian art. The Leaning Tower of Gingin: This is a 45 metre tower with 222 steps, built so that visitors can replicate Galileo's 15th century gravity experiment. With a 15 degree lean, it is the most 'leaning' purpose built tower in the world! 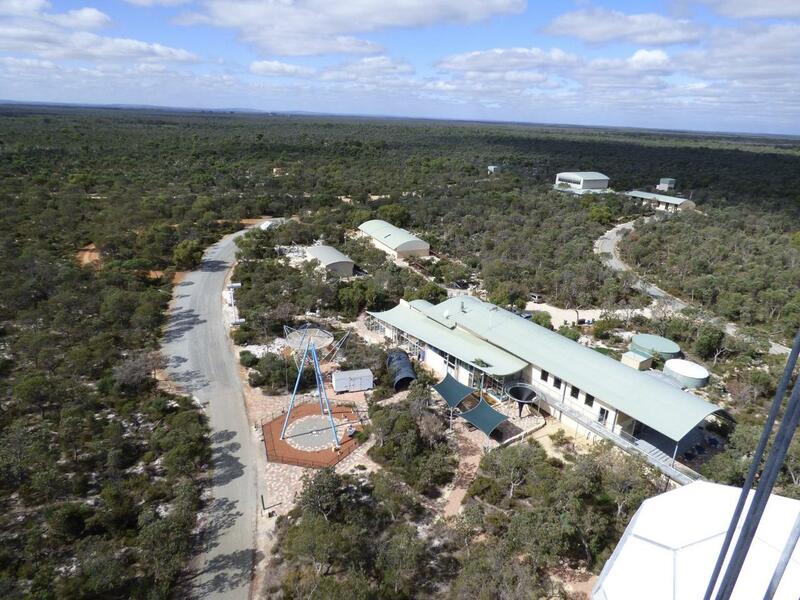 We also have a 15 metre pendulum, a scaled 1km solar system walk and bush walks! Please note that this is a day pass. We open at 10:00am and close at 4:00pm and you are welcome to arrive and leave anytime within that period. Guides are available for an individual booking of 10 or more people.